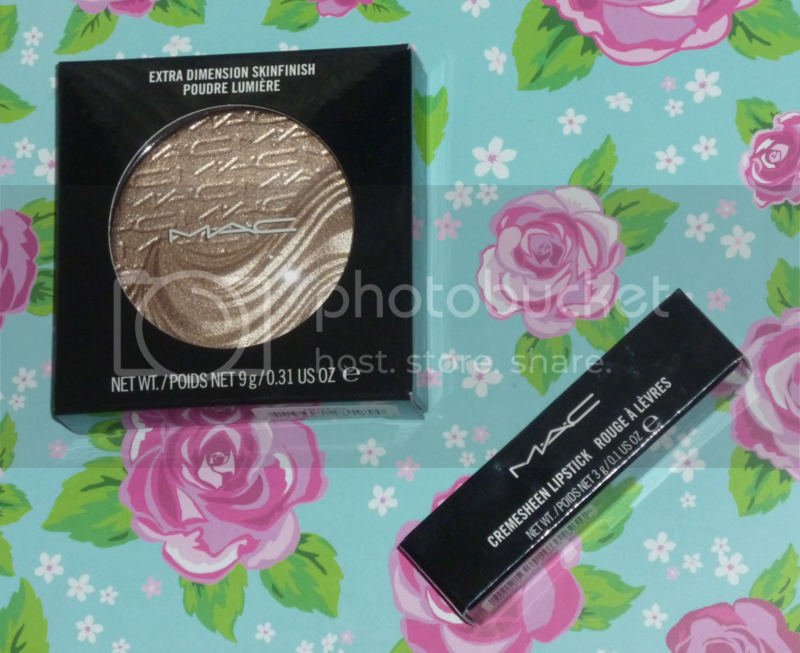 I've picked up a couple of products from the MAC Glamour Daze collection for Holiday 2012 so I thought I'd show you my purchases. The item I knew I had to have from this collection is the Extra Dimension Skinfinish in Superb as it was available back in April as part of the Extra Dimension collection but by the time I'd decided to get it, it sold out! So this time I wasn't going to miss out! I don't really use highlighters but that's probably because I only seem to own liquid versions which I can't get to work on top of foundation for some reason. I've been well overdue a good powder one in my collection. I love the formula of this one as it doesn't feel like a chalky powder, it's so silky and applies like a dream. I couldn't get a good photo of the highlighter on my face so the photo below is without this product but I have an arm swatch further down. 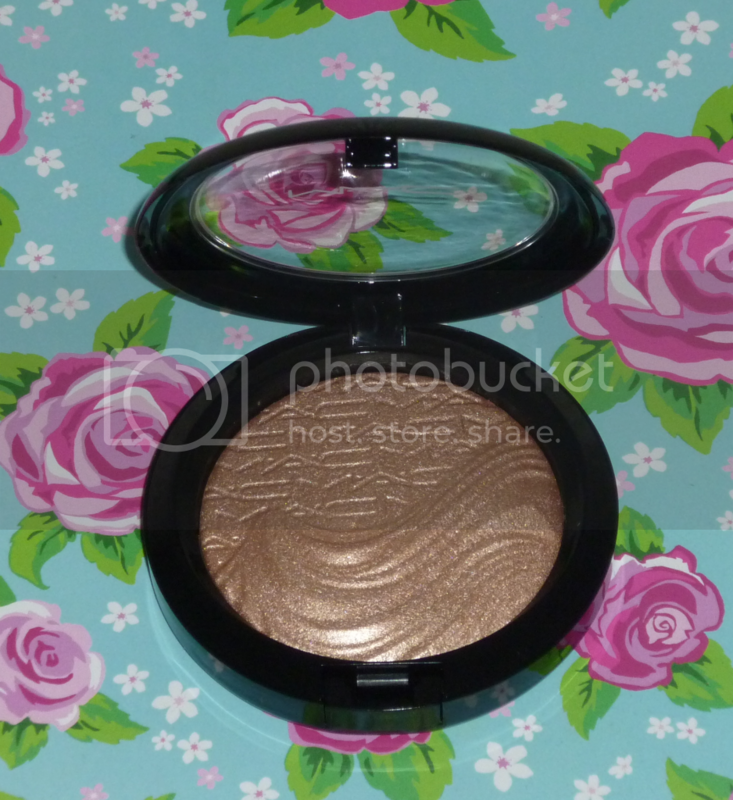 There are two shades of this highlighter available this time, Superb and Whisper of Gilt which the sales assistant seemed to want me to buy even though I said I had my heart set on Superb! I stuck to my guns and went with Superb as I think it's quite different to other highlighters which are normally gold toned. 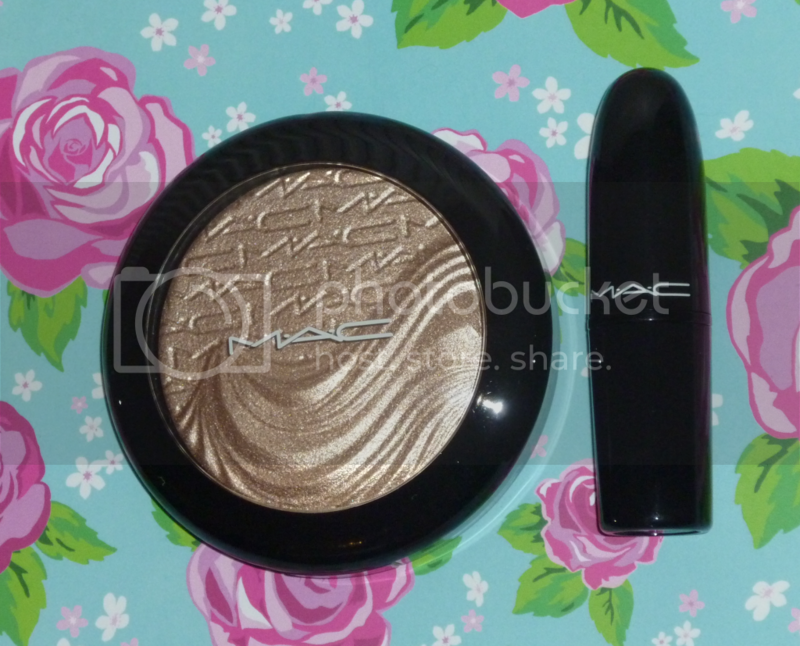 This one is quite a cool toned, champagne colour which I love! My other purchase was a lipstick. 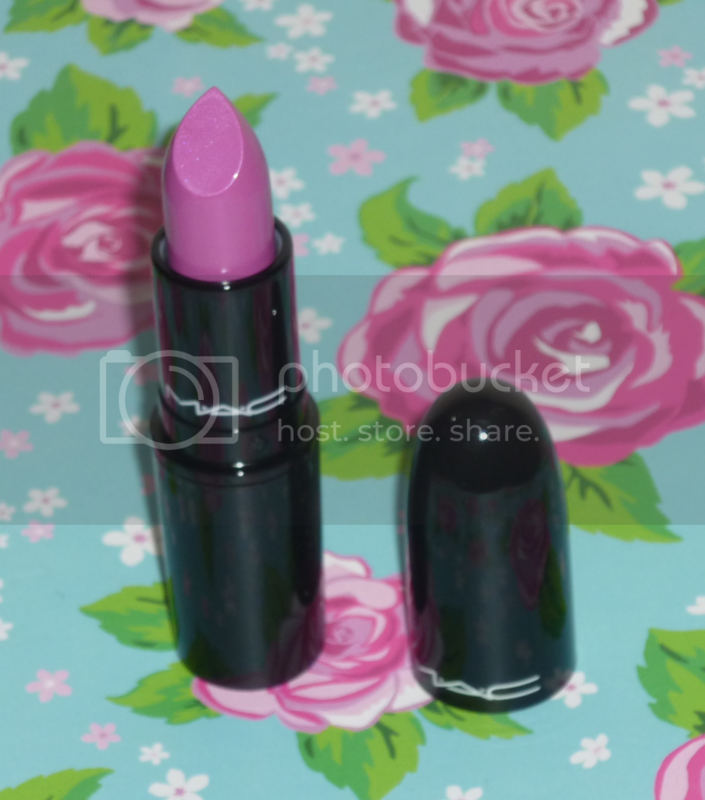 There were a few that caught my eye but I decided to buy just one and the shade I went for is Outrageously Fun. 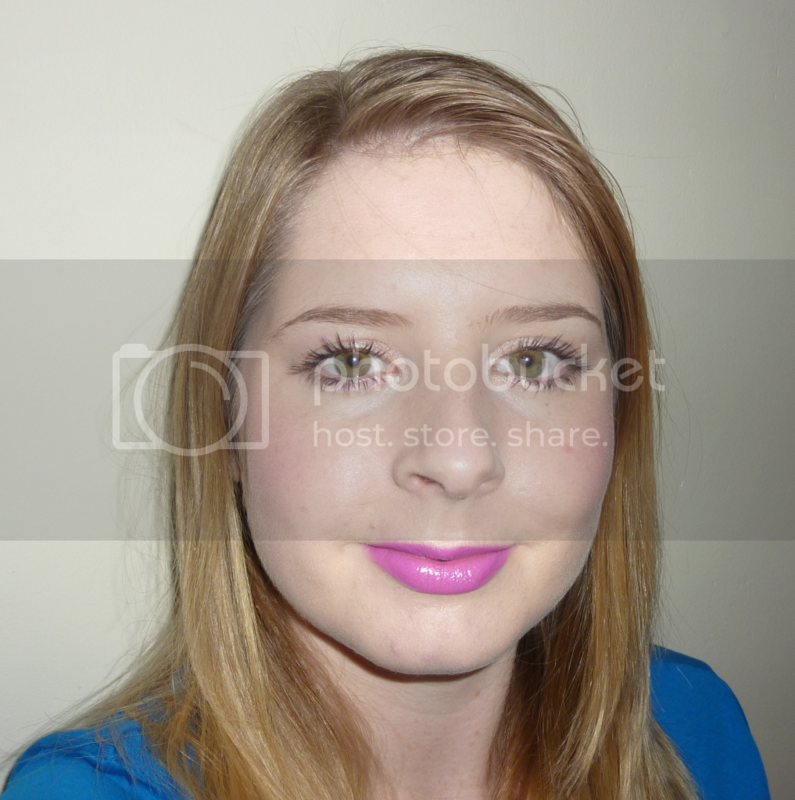 It's such a gorgeous purpley-pink colour or if you would like the official description - midtone magenta violet! I love it so much, I think it goes really well with my blonde hair and green eyes. It's the Cremesheen finish which I've never tried before but it seems lovely. It's really pigmented and not drying at all. I can't wait to wear it on a night out! The packaging for this collection is glossy black which I think looks quite classy. 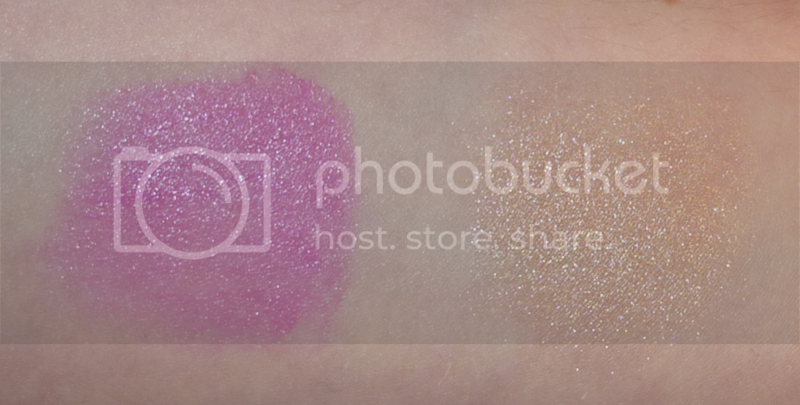 I'm quite tempted to pick up a few more bits as the eyeshadows look great, as do the blushes. I also like the look of the sets that have been released for Holiday 2012 such as the Mini Kits and the Eye, Lip and Brush Kits. They look like a great way to try lots of different products without spending too much money. Have you bought anything from the Holiday collections? What are you planning to buy?